Nissan abandoned a plan to make the X-Trail sport-utility vehicle at the UK's biggest auto factory, saying uncertainty over Brexit isn’t helping on future investment. A UK political leader said it’s a “psychological blow” for the region. 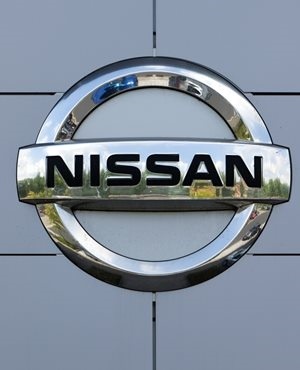 "We appreciate this will be disappointing for our UK team and partners," Nissan Europe Chairman Gianluca de Ficchy said in a statement Sunday. Nissan’s move is another setback for the British car industry, which reported a 46 percent drop in investment last year as carmakers delayed decisions on upgrading machinery and factories amid mounting concern about the impact of a hard Brexit. Spending was 589m pounds ($771m), the lowest since the global financial crisis, the Society of Motor Manufacturers said in a statement Thursday. The Japanese carmaker will continue to produce the X-Trail in Kyushu. Other vehicles planned for Nissan’s northeast England plant in Sunderland -- including the next generation Juke and Qashqai -- are unaffected by the decision, the company said. The X-Trail model was to be made in the UK, as announced in 2016, after Nissan and the UK government reached a deal on future investment, which the company said would secure and sustain the factory’s 7,000 jobs. “Support and assurances” from the government persuaded Nissan to continue investing in the site, the company said in October 2016. “Our workforce in Sunderland has our full confidence, and will continue to benefit from the investment planned for Juke and Qashqai,” de Ficchy said in the statement. Nissan’s statement didn’t give a reason for the decision, but Sky News reported earlier that the management cited emissions regulations and reduced sales forecasts. Sky News reported that a letter from the management to Sunderland’s 7,000 factory staff said that the announcement would be "interpreted by a lot of people as a decision related to Brexit" and that "uncertainty around the U.K.’s future relationship with the EU is not helping companies like ours to plan for the future." Current production in Sunderland includes the Nissan LEAF, Europe’s best-selling electric car, which reached a record 46,989 unit last year, up 177% from the previous year, according to the company.